It is in a 40g, a little bigger than the usual medium size baby powder in the market. It is not my ordinary baby powder. 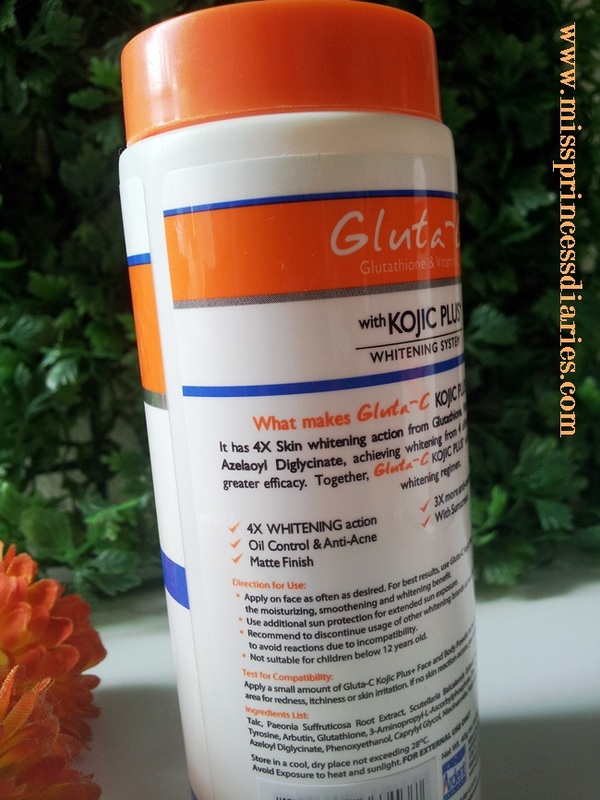 It contains 4 active formulas (Glutathione, Vitamin C, Kojic acd and Azelaoyl Diglycinate) that ensure whitening efficacy. The scent of the powder is mild. It smells like a fragrant soap. 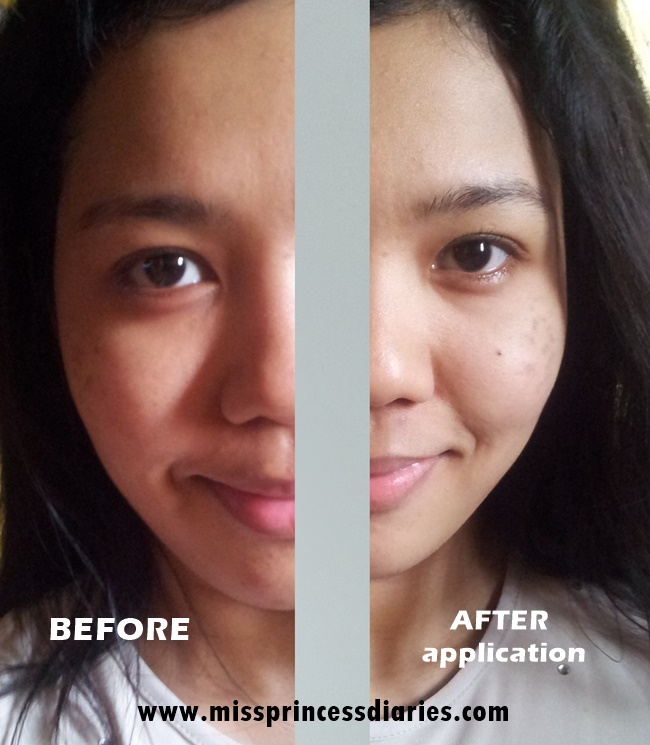 It instantly controls oil and mattify face upon application. 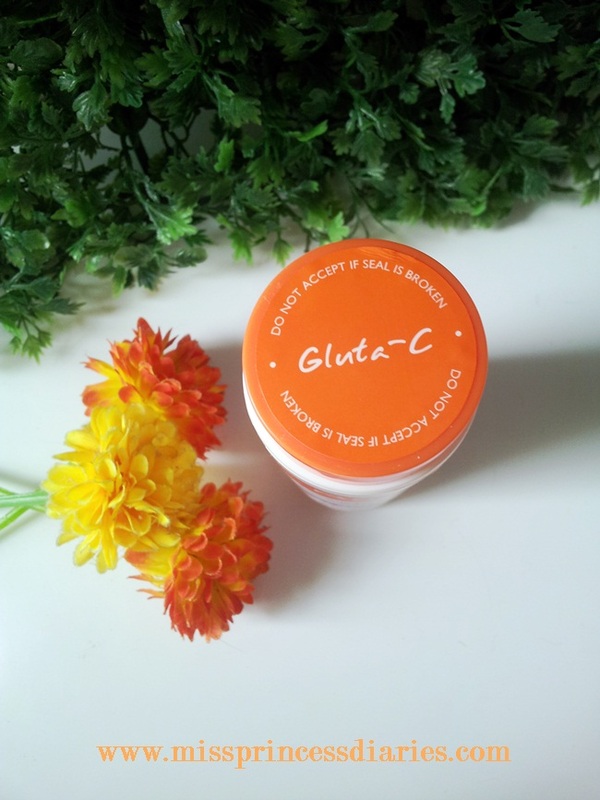 It is in a fine powder that smoothly blends on face. It is easy use but not really that handy. Quantity wise, yeah it is has more product because it is in a bigger pack but it will consume most of your kikay kit's space. I hope they will have the small size version too. Another thing, it claims to be anti-acne too. I am not sure if this is the cause but during my usage of this product. I had a small breakout. But still, I am not sure if it is the cause of my breakout. I didn't stop using it and I haven't experience another breakout after it. So, it is fine. Also, it is worth to mention that it has sunscreen too but of course, you still needed additional protection for your face for extended sun exposure. 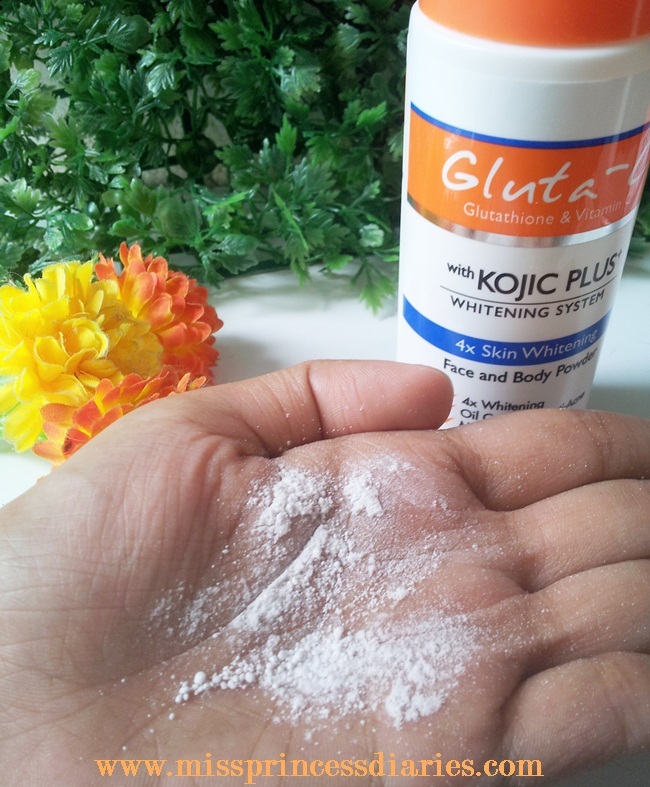 The AFTER effects of the Gluta-C face powder on me was it brightens up the face and gives me instant glow. No make-up used just the powder only. Lastly, as mentioned in the "directions of use" (read below), it is not recommended for 12 years old and below. So, they better stick to baby powder for the moment which is not bad. Baby powder works good on me until 24 until I found this face powder from Gluta C. I'd better switch now for the better cause I'm a grown up now. LOL! Overall Experience. Indeed, an all-in-one powder that we needed for face and body. 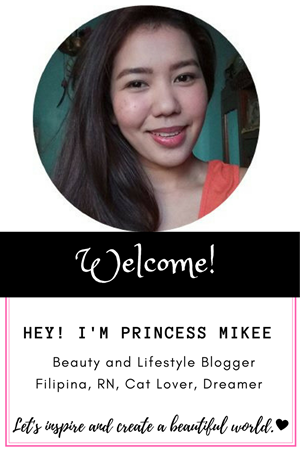 As always, powder makes me instantly look fresh without hassle. You can re-apply as often as desired. It will be an added help in brightening up the face. It is a powder with extra benefits. I can now substitute it with my foundation anytime for daily use. > Apply on face as often as desired. 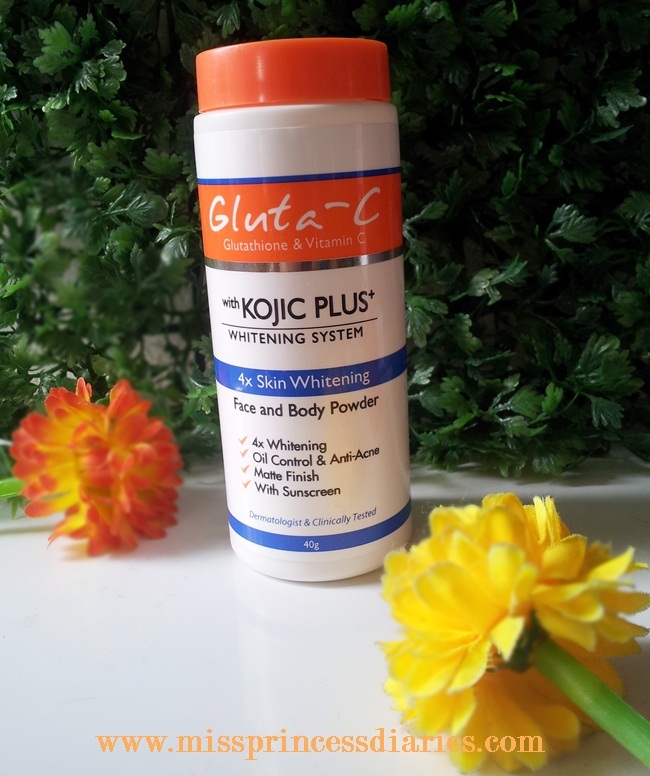 For best results, use Gluta-C Kojic Plus+ products to supplement the moisturizing, smoothening and whitening benefit. > Use additional sun protection for extended sun exposure. > Recommend to discontinue usage of other whitening brands at least two weeks before application to avoid reactions due to incompatibility. > Not suitable for children below 12 years old. I think your skin does look nice with the powder on. I do find that powder makes me look more polished. Especially in the summer my skin gets very shiny. But I would never want to make my skin look whiter! In the US we are always trying to look more tan! My sister uses the same product. She seems to really trust the brand. She's already pretty pale, so I'm not entirely sure why she still buys whitening products. I guess I really don't get the pale=beautiful culture that the Philippines has. But, I guess being someone born with pale skin, I really don't have much of a say in this considering I am not completely oblivious to the fact that some compliments I get are solely based on my complexion. OMG, that powder really works, your skin looks beautiful. I will try that powder also it looks much natural than one I already using. Thanks for share. Watch out for harmful chemicals. 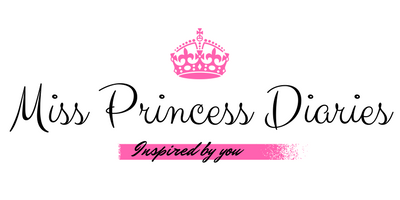 Do not ever dare buying and using products containing alcohol, parabens and mineral oil, among others. Always check the label and the ingredients listed on the product cover.